With the frenzy that has been Twitch Plays Pokemon taking the internet by storm over the last couple of weeks, I felt that I ought to do something to join in on the festivities. 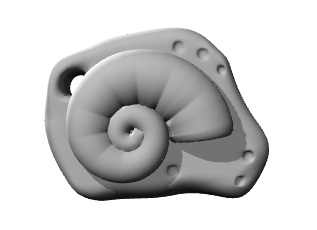 I started by modeling a helix fossil pendant. 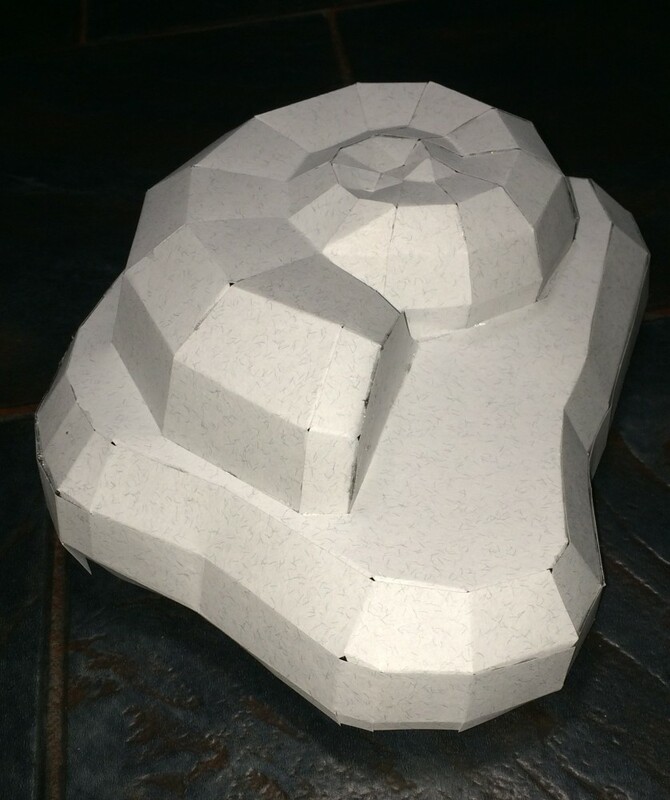 I then thought that I’d like to have something a bit bigger… and since I’m no stranger to papercraft, that seemed like a good way to go! The model required a fair bit of simplification to make it a practical papercraft project, but I think it came out ok. I’m also not so used to working on smaller papercraft projects, since I normally work on life-sized Pokemon so some of the joins are pretty messy. Want to make your own? The PDF file is here. 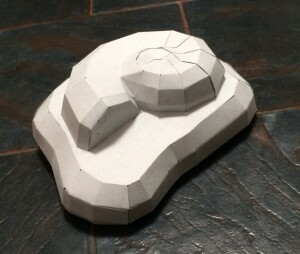 I printed the pattern out on light cardstock and then assembled the pieces with the printed lines on the inside of the model. You can start from the top left of the first page and build piece by piece. If you have any questions let me know and I’ll do my best to help you out.